Clarendon Square Inn thinks it’s beginning to look a lot like Christmas (other winter holidays included!) No we are not talking about the fact that we nearly have all of our holiday decorations sprinkled around our downtown back bay hotel. We are talking about the all the shopping bags & parcels we are seeing indicating that the holidays are much closer than we realize. If you were like many who avoided the annual holiday chaos known as Black Friday, Boston’s South End has a treat for you. On December 8th 2010 from 4 -8pm, several of the South End’s finest shops are offering 20% off of fabulous gifts for friends, family, loved ones & even yourself. The list of participating shops & restaurants stretches from our Joanne Chang favorite, Myers + Chang to the never disappointing Metropolis. View the complete list of South End Shops & Restaurants participating in Holiday night out. Coming from out of town to do a little shopping? Make your night a total experience. A little shopping for your friends & family means some much deserved rest & relaxation. Stay at our beautiful Boston bed and breakfast and have a nice to recover. Give yourself the gift on a peaceful, comfortable night sleep in a luxurious beds. A night with us will have you ready to tackle your holiday to do list. We are conveniently located in the South End a short walk from all the shops you will be hitting. 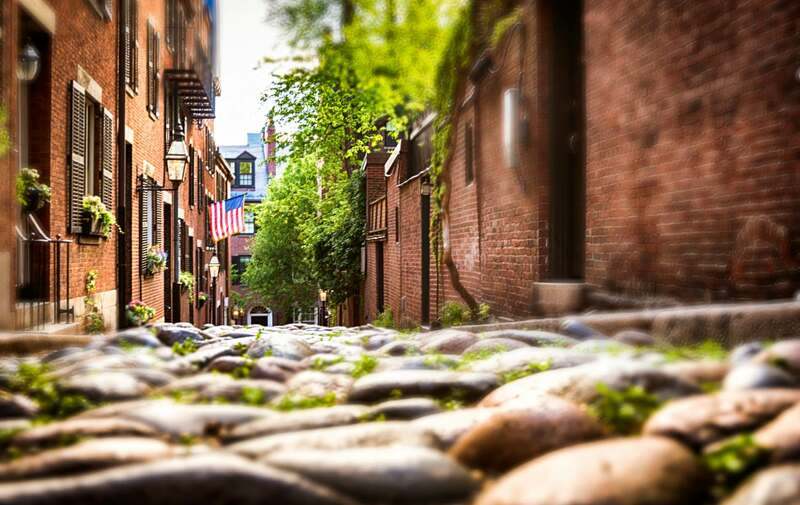 An added bonus is our close proximity to Newbury Street, Copley Place & the Prudential Center. After shopping, take advantage on one of the special menus on the southenders list. And if you have it in you, at the end of the night, find your way to the tip top of the our house. You may not find an overweight man in red velvet with white fur tirm trying to slide down our chimney, but how about one better. A roof top hot tub with a view that stretches acorss the South End with a beautiful view of the Back Bay & Downtown Skylines. Forget the holiday lights because Boston’s skyline will dazzle you. If you do not believe us, we have the photos to prove it! Do not put off the holiday shopping for much longer. The big day will be here before you know it! If you do not take us up on the offer for a last minute getaway at our boutique hotel boston than no worries. We will be here all season, so there is plenty of time to sneak in a pre holiday escape or perhaps a post holiday recovery. Whatever your reason may be remember to keep the holiday cheer shining all year long. This entry was posted in Uncategorized and tagged back bay hotel, boston, boston bed and breakfast, christmas shopping, holidays, south end restaurants, South End Shopping by admin. Bookmark the permalink. Design Concept by Bobby Ciletti.